On May 5, 2009, The Cupcakery, LLC (“The Cupcakery”) filed a trademark infringement lawsuit against Sift: A Cupcakery, LLC (“Sift”) and owner Andrea Ballus in the U.S. District Court for the District of Nevada. See The Cupcakery, LLC v. Ballus et al, Case No. 09-cv-00807 (D. Nev.). A copy of the complaint (without exhibits) can be downloaded here. The Cupcakery is a specialty bakery specializing in baking and selling gourmet cupcakes. The company has two locations in Las Vegas along with one in Texas. 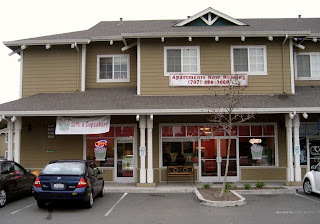 According to the complaint, The Cupcakery initially began using the mark THE CUPCAKERY in December 2005 in connection with selling gourmet cupcakes through “special order.” The Cupcakery opened its first retail store in January 2006. Sometime around February 8, 2008, Ballus purportedly filed Articles of Organization for SIFT: A CUPCAKERY, LLC with the California Secretary of State. On February 20, 2008, Ballus also registered the domain name www.siftcupcakery.com (which now hosts a webpage advertising Sift’s gourmet cupcakes). The Cupcakery claims that Ballus used her employment to get access to its trade secrets (cupcake recipes, business development and marketing strategies, and customer lists) and upon quitting, opened up her own gourmet cupcake business in Cotati, California. The Cupcakery also alleges that Ballus took the job with The Cupcakery under false pretenses in order to obtain these trade secrets so that she could develop her own gourmet cupcake business. The Cupcakery cites to a blog -- cupcakeaday.com – where Ballus supposed discussed her plans to open a cupcake business as early as December 2007. (Click here for her post where she embarks on her “massive mission to open my very own cupcake shop” and here to read in her own words the origin of the Sift name). Most importantly, however, is that on August 18, 2008, Sift filed an application with the PTO to register the mark SIFT:A CUPCAKERY for “Retail bakery shops; Retail stores featuring cupcakes” (claiming date of first use April 2008). Who knows when The Cupcakery discovered Sift’s pending application or whether the timing is a strange coincidence, but on September 8, 2008, The Cupcakery filed four separate trademark applications of its own – two for the word mark THE CUPCAKERY (for retail and online retail services and cakes and cupcakes) and two for the THE CUPCAKERY logo (for retail and online retail services and cakes and cupcakes). The “cakes and cupcakes” applications claim a date of first use as December 2005 while date of first use for the “retail and online retail services” is January 2006. Of course, with Sift’s earlier filing date, Sift’s application was passed to publication first. When Sift’s application was published for opposition, The Cupcakery filed a timely opposition. See The Cupcakery, LLC v. Sift: A Cupcakery LLC, Opposition No. 91188833 (T.T.A.B. Filed February 12, 2009). In the instant complaint, The Cupcakery squarely attacks Sift’s application on the basis of fraud, in particular, the declaration section of Sift’s application stating that “no other person, firm, corporation, or association has the right to use the mark in commerce, either in the identical form thereof or in such near resemblance thereto as to be likely, when used on or in connection with the goods/services of such other person, to cause confusion, or to cause mistake, or to deceive.” The Cupcakery maintains that Sift (through Ballus) was aware of The Cupcakery’s senior use of THE CUPCAKERY when it made this declaration. 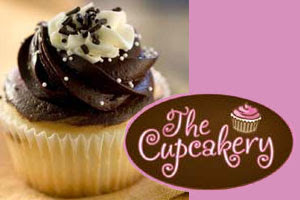 By moving the case out of the TTAB and into the federal courts (and adding in additional causes of actions like fraud, trade secret misappropriation and breach of contract), The Cupcakery is able to intensify the pressure against Sift to abandon its application, and thereby allowing The Cupcakery's applications to proceed to registration. So would most consumers really associate the word "Cupcakery" with a single source -- or more likely a merely descriptive term describing a cupcake bakery? And could the presence of these other stores also impact The Cupcakery’s own trademark applications, which also included declarations by The Cupcakery that “no other person, firm, corporation, or association has the right to use the mark in commerce, either in the identical form thereof or in such near resemblance thereto as to be likely, when used on or in connection with the goods/services of such other person, to cause confusion, or to cause mistake, or to deceive”? While “cupcakery” may have been a unique word at one time, because The Cupcakery did not pursue trademark protection early (assuming that the company was the first one to use the phrase – a fact I have not verified), such oversight may have resulted in the word “cupcakery” joining the general lexicon as a word identifying a “cupcake bakery” rather than a word identifying a single source of goods and services. It will be interesting to see if The Cupcakery, when and if it is able to get beyond Sift’s application and get their marks registered (thereby giving them prima facie evidence of the nationwide exclusive rights to the term), will attempt to start a nationwide campaign (a la Sprinkles) to stop other companies from using the word “CUPCAKERY” in connection with a cupcake bakery. Of course, registration is only prima facie evidence – and such marks can still be challenged on the basis of being merely descriptive (and not showing of acquired distinctiveness). But without any trademark registrations, The Cupcakery must rely upon its common law rights, which given the fact that the company only has three stores (two in Vegas and one in Texas) and a website [Comment: and just because a website is accessible nationwide doesn’t mean your reputation is nationwide], would appear to give the company a limited zone of protection (certainly its zone of actual market penetration, namely Las Vegas and the Texas area where it has its stores). But can The Cupcakery claim that its zone of reputation extends outside these areas or show concrete evidence of a zone of natural expansion reaching into California or the other areas of the countries where “cupcakeries” are opening up? as far as my knowledge and research has shown me...Sibby's Cupcakery in california's south bay is the first business to use the phrase. She lovingly did not persue the trademark, so that the word cupcakery would be used as a common word such as bakery. good luck with this lawsuit... as far as i know no cupcakery has ever won one of these... just tried to bully people out of their name and concept... what a crappy way to do business... shows the integrity of the owners of the cupcakery.... take the compliment and look at is as a positive that you inspired a former employee to move on from thier minimum wadge job and open thier dream business. I'll never eat at The Cupcakery again. I think this is ridiculous, especially since the two cupcakeries are in two different states! All I know if that if Sift goes belly up because of this, I will be pissed. Once the Snickerdoodle cupcake passed my lips I was hooked. This whole lawsuit sounds petty to me. I visit Vegas alot, and I won't be visiting The Cupcakery. I have no dog in this fight at all - but it would appear to me that the word "cupcakery' is just a common term or 'slang' for a cupcake bakery. Just like THE HOTEL in Vegas can't sue every other chain with HOTEL in the name. Yeah - you may think you are the first to use the word and you have special rights - but honestly it just makes you look sort of evil.